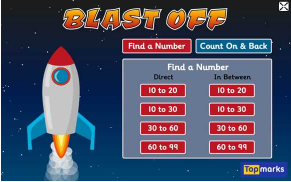 Blast off is designed to help children identify and work with two-digit numbers. The oral questions have multiple choice answers which children will have to listen to carefully. 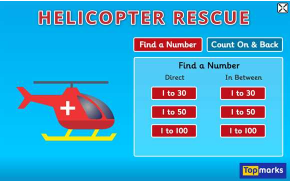 Helicopter Rescue is a mental maths game with different sized number charts, the largest of which is a hundred square and it is designed to help children identify and work with two-digit numbers. 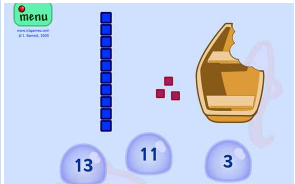 Shark Numbers is a mobile-friendly place value game. Test your knowledge of the spelling of the numbers 1-20. 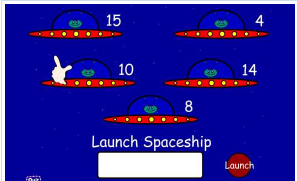 You need to spell the words correctly to make your space ship take off!